A defence consulting SME has opened its first permanent office, with the aim of creating an ‘SME hub’ for Defence and industry partners. 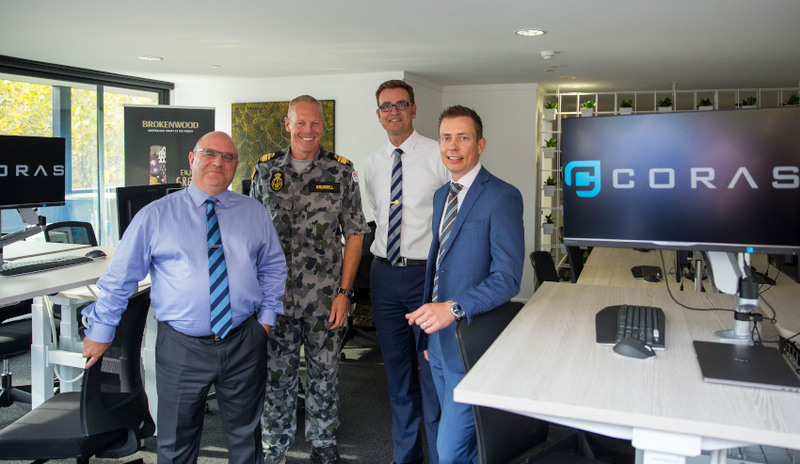 Coras Solutions' Potts Point office, opened by Rear Admiral Adam Grunsell, Head of Maritime Systems Division, Capability Acquisition and Sustainment Group on 9 February, represents a significant milestone for the consulting company, formed in 2015 and led by Phil Cutts, Carl Oberg and Brett Rylance. Speaking to representatives from Defence and industry at the event, RADM Grunsell reflected on the important role of SMEs in Defence, and industry’s fundamental role in capability. In 2016, Defence formally recognised industry as the ninth fundamental input to capability (FIC). This is a significant step towards increased collaboration between the Commonwealth and industry with shared goals of achieving sustained value, fostering innovation and, ultimately, delivering success in times of conflict and crisis. The vision for the Coras office is to create an ‘SME hub’ located close to Defence and industry partners that can be utilised to improve collaboration and enable innovative thinking, said Phil Cutts, managing director of Coras Solutions. "The need for companies within the consulting and advisory industry to work together to deliver better outcomes for our clients … there is a great call on industry to rise to the occasion and offer professional services to meet the increasing requirements of Defence," Cutts said. When opening the office, RADM Grunsell encouraged Defence members to consider conducting business beyond the walls of Defence bases. Spaces such as SME hubs will assist to harness collective knowledge, skills and experience of integrated teams. This will lead to better outcomes for Defence, particularly as Defence embarks on unprecedented capability acquisition and sustainment.